Forex market refers to the decentralized marketplace which is used for the trading of all currencies across the globe. Being a highly dynamic market, it is highly essential for a new trader to learn the risks of trading in this market. As shown through various statistics and market studies, the chances of early success in forex market is extremely low and only though persistence experience can the chances be improved with time. Contrary to popular belief, money making in forex market isn’t easy and one always needs to make the best of the fluctuating rates to make considerable amount of profit. In order to make money, it is always advised to have a proper study about forex and forex market before making any decision to trade. While success highly depends on the experience of the trader, here are a few tips for the new traders on how to operate under a highly fluctuating market to avoid severe loss of money. Losses in a highly fluctuating market are common and can be traumatic if anything more than one lot is placed in a potential situation between 100-200 pips. A higher level of leverage can work wonders in a normal market situation but can put the investor at high amounts of monetary loss along with the added debt on the investor. It is common for new traders to try and grab every trading opportunity as they can. This can be a highly risky practice during a volatile market situation as unexpected fluctuations can result in heavy monetary loss. Assessing the risk tolerance levels and the level of risk involved is highly advised especially when trading during a turbulent market condition. Forex Trading without a proper trading strategy is like playing American football without safety equipment. Forex trading is a highly risky business that requires proper market analysis and proper planning to take the best advantage from the fluctuating foreign exchange rates. Making a contingency plan in case of loss and disciplined trading to prevent unnecessary investments is a must for all the new traders in forex market. Forex trading is hard and the chances of money making without small losses are thin. The risk is doubled in a fluctuating market situation when unexpected drop in prices can cause huge financial losses. Foreign exchange market is not a ‘get-rich-quick’ scheme and success doesn’t come overnight. Expecting early gains in the Forex market is not what most successful forex traders would advise and one should always invest with caution. Stop losses can not only prevent huge losses during a volatile market, but also ensure that you follow a disciplined trading procedure. Stop losses can be strategically placed during market fluctuations to automatically sell any long position if its rate falls below a certain level. Stop losses are the best way to ensure that you never hold a position for too long and protecting you from extreme losses in a fluctuating market. While ones skills as a forex trader are honed over a course of time, it is always advised for the new traders to not hold a position for too long. Holding a losing trade for too long can often cause further losses and waste of precious time and money. The more experienced traders will always know when to hold a losing position and when to sell it at a smaller loss. The rising prices in a fluctuating market can often be lucrative and can attract all sort of seasoned and novice traders into investing. Forex market is not a place to gamble with your funds but requires acute calculative skills and market analysis in order to make money. Traders should focus on cash management rather than trying to grab every opportunity in a volatile market. Forex Market while being a highly profitable market is not without risks. The abovementioned tips and tricks must be followed by the new traders before investing in forex market. 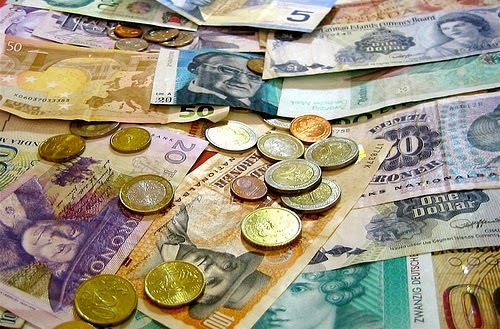 One must invest in foreign exchange only after proper analysis of the market and studying the changing trends. About the author: Luke Peters is the current contributor for cornertrader.ch and has written several articles related to Forex Trading, Marketing, Finance and Law. He likes to spend most of his time studying and researching the various topics and keeping upto date with the latest news and developments in the market.